The demand by opposition parties for counting VVPAT slips from 50% of EVMs is irrational and can delay the declaration of results by five days according to the Election Commission (EC). EVMs eliminated paper ballots but counting 50% of VVPAT slips nullifies those time and cost benefits. A committee of senior statisticians has said that verifying 479 randomly selected EVMs from a total of 10.35 lakh achieves a confidence level of 99.99%. Raising sample size further yielded only “negligible gains” in confidence levels. This would also roughly translate to one EVM per Lok Sabha seat. The bogey of EVM tampering led to VVPAT but opposition paranoia seems unending. EC has said that VVPAT slip count from 1,500 polling stations in elections since March 2017 have matched completely with corresponding EVMs. 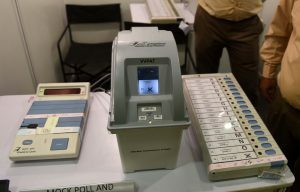 Protocols stipulate checks on EVMs for physical tampering followed by random assignment to polling booths, both witnessed by party representatives. At EC’s EVM hackathon, no party came forward to attempt a hack. The opposition also conveniently forgets their multiple election wins – in Delhi, Bihar, Punjab and elsewhere or most recently in three Hindi heartland states – since 2014. Some argue that the seven phase polling entails a wait of several weeks and a few more days for counting VVPATs makes little difference. EC’s estimate of five extra days is being questioned by those claiming that paper ballot counting in pre-EVM days wouldn’t exceed 2-3 days. EC has offered to hike the stations counted to one per 4,125 assembly constituencies. By EC’s own estimate it would take one hour to count VVPAT slips per booth and 250 hours to count the average 250-odd booths per constituency. While 125 hours to verify half these booths would be overkill, sparing one hour for a booth per assembly constituency would strike a balance. Meanwhile, EC should swiftly replace faulty EVM/ VVPATs during polling. These isolated failures relayed through social media have contributed to rumour mongering. While BJP is the target of the opposition’s EVM hacking paranoia, EC takes the collateral damage. VVPATs are making their general election debut and this important step towards transparency was made possible by judicial interventions and EC’s timebound execution. It attests to the robustness of institutions and the potential of incremental approaches to solve fundamental problems. A manual count of 50% polling station VVPATs, however, is clearly not a constructive proposal. The lack of guidelines for investment in lower-rated bonds continues to hamper corporate bond market development in India. Sebi’s recent circular, however, has streamlined valuation norms for money market and debt securities rated below investment grade in the mutual funds industry. With the Insolvency and Bankruptcy Code in place, a regulated market for issue of high-yield bonds is clearly warranted. It makes perfect sense for fund houses to standardise valuation rules for, say, commercial paper and corporate bonds, following an adverse credit event. But, in parallel, what’s required are clear-cut guidelines for the issue of high-yield, sub-investment-grade bonds for a more complete corporate bond market. The market today is suboptimal, with corporate bond issuance characterised by private placements, a rather narrow issuer and investor base, and mostly held to maturity. The way forward is to policy-induce a thriving secondary market for corporate bonds for transparency, disclosure, across various investment grades, and not restricted to bonds with AA and AAA credit-rating, which can be very opaque indeed, going by the Infrastructure Leasing and Financial Services fiasco. The Sebi circular calls for below-investment-grade securities to be valued on the basis of indicative haircuts provided by credit-rating agencies.A deep and liquid corporate bond market also needs a market for so-called junk bonds, which promise high, albeit more risky, yields for better resource allocation right across the board, especially in the long tail of small and medium enterprises lacking access to formal credit markets. An actively regulated market for sub-investment-grade bonds, complete with a central counterparty facility as in the gilts market, would complement top-rated bonds. Everyone would gain. 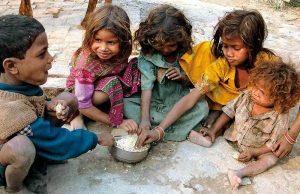 भारतीय संविधान के अनुच्छेद 366 (25) की भाषा-परिभाषा के अर्थो में अनुसूचित जनजाति के सदस्य/नागरिक ‘हिंदू’ माने जाते हैं। हिंदुओं की जनसंख्या गिनने-गिनाने और वोट की राजनीति के लिए भी ‘हिंदू’ माने-समझे जाते हैं। लेकिन हिंदू विवाह अधिनियम,1955, हिंदू उत्तराधिकार अधिनियम, 1956 और हिंदू दतकत्ता और भरण-पोषण अधिनियम,1956 की धारा 2(2) और हिंदू वयस्कता और संरक्षता अधिनियम, 1956 की धारा 3(2) के अनुसार अनुसूचित जनजाति के नागरिकों पर ये अधिनियम लागू ही नहीं होते बशर्ते कि केंद्रीय सरकार इस संबंध में कोई अन्यथा आदेश सरकारी गजट में प्रकाशित ना करे। उपलब्ध सूचना और तयों के अनुसार आज तक इस संदर्भ में केंद्र सरकार ने कोई आदेश/नोटिफिकेशन जारी नहीं किया है। ‘एक देश, एक कानून’ के विकासशील दौर में भी शायद कानून मंत्रालय को यह आभास तक नहीं (हुआ) है कि अनुसूचित जाति के सदस्य संविधान में हिंदू हैं, मगर हिंदू कानूनों के लिए नहीं हैं? विचारणीय मुद्दा यह है कि अनुसूचित जनजाति के सदस्यों/नागरिकों (देश की 8-9% आबादी) को कब तक मुख्यधारा से बाहर हाशिये पर रखा (जाएगा) जा सकता है, कब तक पिछड़ा, रु ढ़िवादी, अनपढ़ और असभ्य बनाये रखा (जाएगा) जा सकता है? उन्हें कब तक हिंदू न्याय मंदिरों से खदेड़ कर ‘खाप पंचायतश्र के खूंटे से बांध कर रखा (जाएगा) जा सकता है? और क्यों? क्या इसका कोई मानवीय, न्यायिक विवेक और मान्य तर्क हो सकता है? क्या सबको समान नागरिक संहिता की छतरी तले लाना संभव है? एक तरफ परंपरा और पहचान के संकट हैं, और दूसरी तरफ बहुमत की वर्चस्ववादी नीतियों के दुष्परिणाम। शिक्षित-शहरी और साधन संपन्न जनजाति के सदस्य (विशेषकर स्त्रियां) भी उसी अतीत की बेड़ियों में जकड़े हैं। शहरों/महानगरों में रह रही अनुसूचित जनजाति की औरतें (पुरुष भी) न्याय के लिए कौन सी अदालत का दरवाजा खटखटाएं? इक्कीसवीं सदी के ‘न्यू इंडिया’ में ऐसे कानूनों के बारे में क्या कहा जाए! नतीजा यह निकलता है कि आबादी का बड़ा हिस्सा है जो गरीबी में रह रहा है। एक अनुमान के मुताबिक यह बीस से पच्चीस फीसद के बीच है। संख्या में देखें तो गरीबों की यह तादाद पच्चीस से तीस करोड़ के बीच होगी। आर्थिक सवाल यह है कि क्या हम इन लोगों को गरीबी से बाहर निकालने के लिए केवल आर्थिक विकास पर भरोसा कर सकते हैं? नैतिक सवाल यह है कि क्या इन लोगों को गरीबी से बाहर निकालने के लिए आर्थिक वृद्धि पर ही भरोसा कर लेना चाहिए ?